Bovine Tuberculosis (bTB) has now become one of the major health problems in cattle. It was largely eradicated by cattle testing alone, without a single badger being killed. However, the number of bTB cases in cattle has risen has risen in recent years as cattle testing has been relaxed and the emphasis has switched to killing badgers. More than 30,000 badgers have been killed since 1975. Yet research has shown that the large majority of badgers are not even infected with bTB. The Badger Trust is a registered charity which promotes the conservation, welfare and protection of badgers. The Badger Trust believes that killing badgers can never be part of a viable strategy for controlling bTB. Research has shown that cattle are the major source of bTB and it is clear that resources must be concentrated on the control of cattle and cattle movements. GOVERNMENT PROPOSALS WHAT CAN YOU DO TO HELP? 1. A 12 week public consultation on the principle and method of a badger killing policy in areas of high TB incidence in cattle. 2. The introduction of a requirement for pre-movement testing to reduce the spread of bovine TB through movement of cattle (this requirement will only apply to cattle over 15 months of age moving out of 1 and 2 year tested herds). 3. The introduction of a new compensation scheme to avoid over payments for bTB infected cattle. •There are 14 million cattle movements in Britain every year, but no statutory requirement for pre-movement TB testing. •Improved TB testing of cattle in Northern Ireland has reduced TB breakdowns by 40% since November 2004. •The skin test for TB in cattle is unreliable. •Research has shown that almost 90% of badgers are entirely free of bTB. 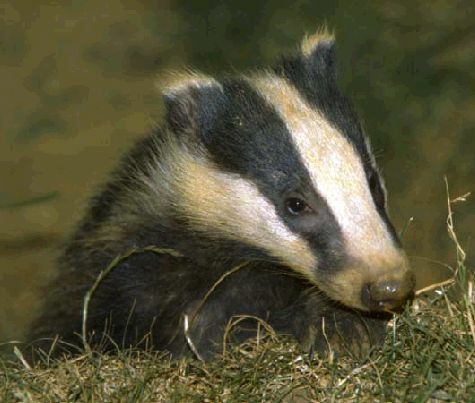 Copyright 2003 by Badgerwatch Ireland. All rights reserved.